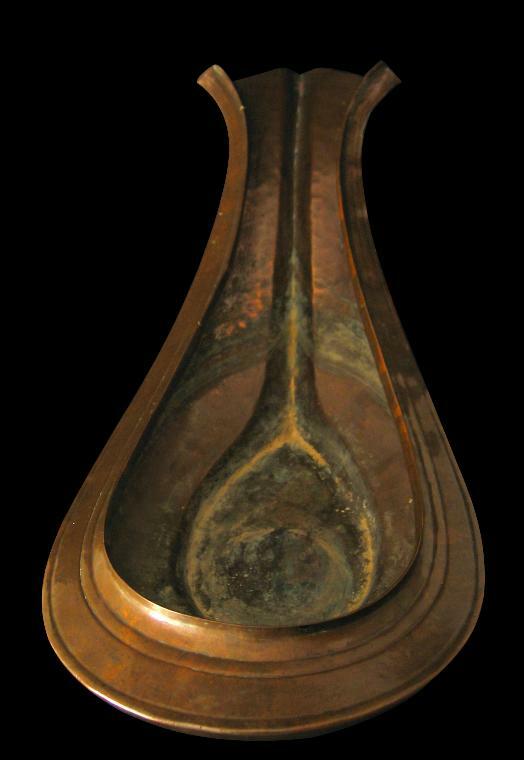 This vessel from Hindu India, is of hammered copper and in the shape of a yoni (female genitalia). 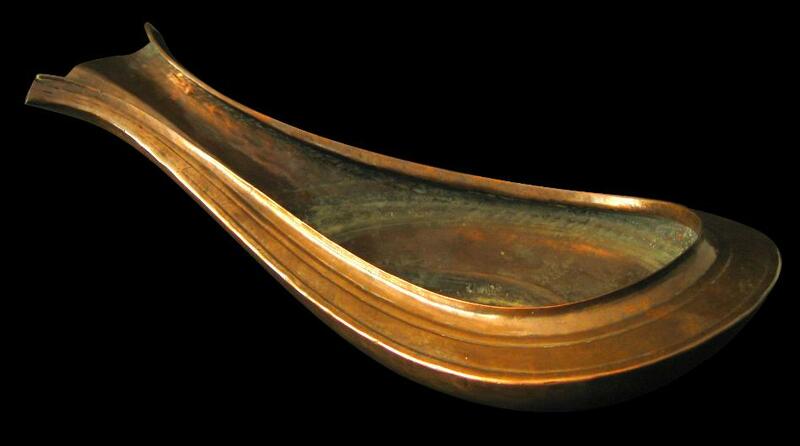 It would have been used to pour holy water over lingam and related images. This is a larger than usual example and is visually pleasing.